Smart finish in a brushed stainless steel exterior, the quality of the Isotemp Basic by Isotherm, is not just skin deep. 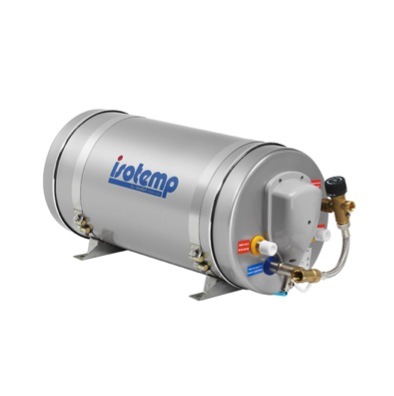 Optimal water heating is achieved in two ways, firstly by an immersed electric heating element (Immersion heater) and secondly by utilising the boat’s engine water heat (Heat Exchange). 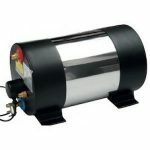 Isotemp water heaters may be used with fresh water or salt water cooled engine systems. 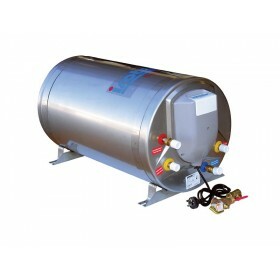 The immersion heater and heat exchanger are positioned in the lowest part of the tank, providing even thermo cycle heating of the water in the system. The engine water heat exchanger coil is extra long for faster heating, especially handy on sailing yachts, which may run their engine for short periods only. The water inlets and outlets are positioned to minimise mixing of cold water into the hot, by the incoming water. The immersion heater has been designed to enable easy removal to allow for inspection and cleaning of the tank. The materials used in the construction of the tank are of the highest quality. 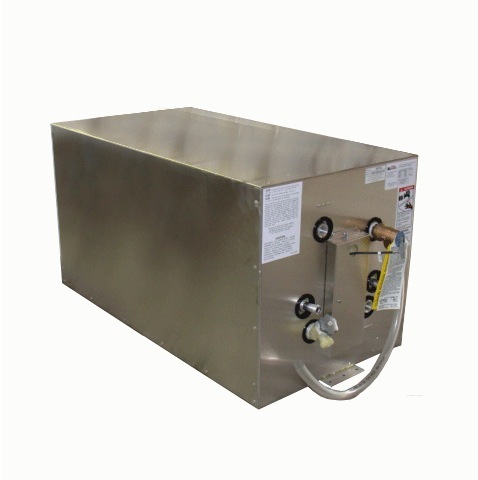 Acid resistant stainless steel AISI 316 is used for all parts of the tank that are in contact with water. 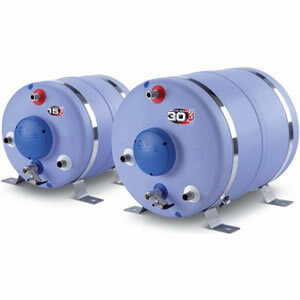 The internal tank is insulated with expanded polyurethane insulation ensuring low temperature loss. The outer cover and mounting feet have been crafted from non-magnetic stainless steel AISI 304. 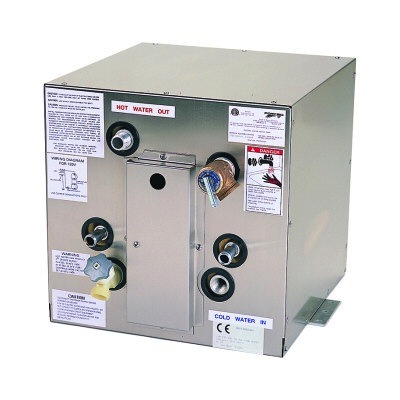 The fixing feet are adjustable to 360º, allowing the tank to be mounted horizontally or vertically. Note: Thermostatic Mixing Valve shown in picture not included.